There are a few necessary steps to take after the house hunting is done that may not seem as exciting. Buying a home can be so much fun – from checking the listings and visiting properties to imagining your future life and signing the purchase papers – your dreams are coming true and you have good cause to be excited. There are a few necessary steps after house hunting that may not seem as exciting though, and conveyancing is one of those steps. Thankfully, there are professionals – called solicitors – whose job consists of knowing everything there is to know about this necessary step. While it’s not a legal requirement to engage a solicitor, it is highly recommended, as the process can be quite daunting for those without an extensive knowledge of property buying. It’s also best to choose a solicitor prior to any serious house hunting, as the real estate agent will ask for the details of your solicitor to go over the sales and purchase agreements. In the meantime though, here’s a brief rundown of what conveyancing is, why you need it and how to choose a good Canberra solicitor. Conveyancing is the process of transferring ownership of a property (or legal title of land) from a seller to a buyer. It involves understanding, executing, preparing, verifying and lodging the documents involved in making the exchange of property legally official. Generally, a conveyancing transaction consists of three stages – pre-contract, exchange and settlement. Pre-Contract – During the pre-contract process, the preparation of the contracts for the sale of property occurs. Your solicitor will generally first prepare a draft contract and conduct a title search in order to verify the owner of the property. They will check a number of important things, such as if the title deeds are in order, whether the rates are paid in full, whether the property has any existing charges against it that may affect the sale and whether the property has any restrictions on it. Once all searches are completed and the purchaser and seller of the property have negotiated the terms, a contract will be prepared and will need to be signed by all parties. Exchange – The exchange refers to the process wherein the contract for sale becomes legally binding on the seller and purchaser. The exchange usually involves a meeting between the seller’s and buyer’s respective solicitors. During this meeting, the contracts that have been signed by the buyer and seller respectively are checked to ensure they are accurate and identical. The contracts are then dated and exchanged, the contract is considered legally binding and all parties are required to meet its terms; however, a cooling-off period is a standard clause that may or may not be waived, depending upon the agreed upon preferences. It is at this point that the deposit is handed over to the seller’s representative, which will be held in trust by the real estate agent until a settlement is finalised. 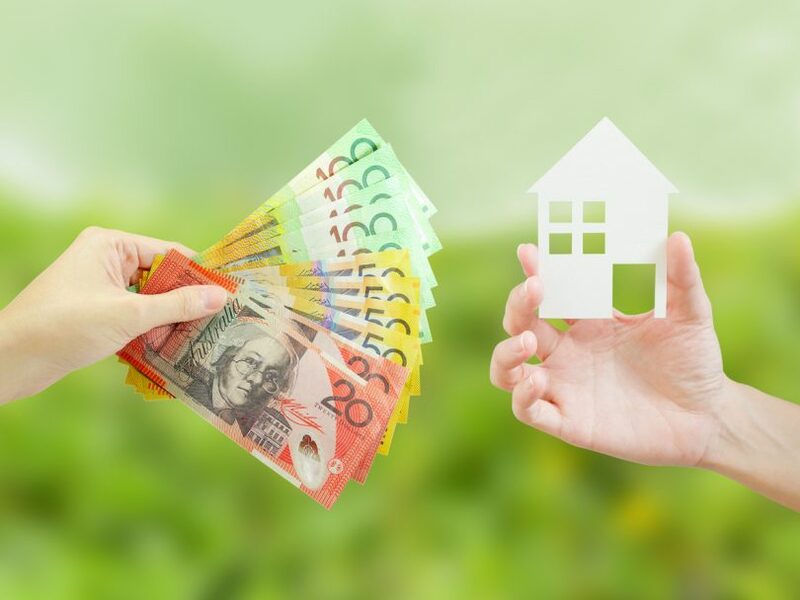 Settlement – Prior to settlement, the property buyer will organise cheques for the remaining property cost and any necessary adjustments such as rates and water and a time and place for the settlement will be arranged. The settlement agent will ensure there are no caveats or unpaid mortgage on the property and will also register the settlement transaction with the relevant bodies to ensure it’s official. There are a few other considerations, such as stamp duty and pre-settlement inspection; however, we won’t go into too much detail about these in this article. The buyer hands over the Order on Agent form, which gives the real estate agent the authority to release the deposit, minus commissions e.t.c. The buyer’s lender will organise for registration of the transfer and the mortgage on a title with the Land and Property Information division in the relevant state. The settlement process means that the contract is now finalised and the rights and obligations under the contract will in most circumstances cease to apply. With settlement completed, congratulations are in order for all parties! Conveyancing isn’t just important – it’s legally necessary. Without the conveyancing process, the act of transferring property from one party to another would not be legally binding. A solicitor is knowledgeable in all aspects of conveyancing, so they are well equipped to quickly and easily complete this process for you. As mentioned earlier, you can certainly try your hand at conveyancing yourself and there are even kits available for purchase; however, pursuing this path is not recommended– there is a huge amount of time and effort involved in learning even the basics of conveyancing! How do I find a good conveyancer in Canberra? The short answer would be to visit the resident solicitor superstar, Christina McPherson, at Baker, Deane & Nutt Lawyers in Queanbeyan. Christina has a wealth of experience in the field of conveyancing and is passionate about ensuring that all her client’s come away from each property sale with a huge smile on their faces. The longer answer is that you should take the time to shop around for a solicitor who you feel comfortable with. Just like house hunting, choosing a solicitor should be something that you put a bit of thought into so that you know you’re working with the best available person. The best way to source a great solicitor is to ask family and friends who they used and what their experiences were. Also browse around online, as these days, many of the best service providers have good reviews on places like review sites and social media, whereas shonky ones are quickly outed with bad reviews. Also, ask your real estate agent, banker or similar trusted professional for their opinions. When you have narrowed your list down, look into the professional qualifications and background of each solicitor to ensure they have experience and remember that the cheapest quote may not be the best value. Have you recently used a solicitor? Let us know about your experiences or recommendations by commenting below.